One of the many great things about online poker, is the opportunity it gives for heads-up poker. Heads-up is where two players are head-to-head in single combat over the deck – much too expensive for physical poker rooms, where they like to pack the players round the table. But in online poker, there are no such considerations and heads-up is storming the online poker world. It’s a version of one-to-one combat but rather than physical, it’s do with psychological courage and gameplay. 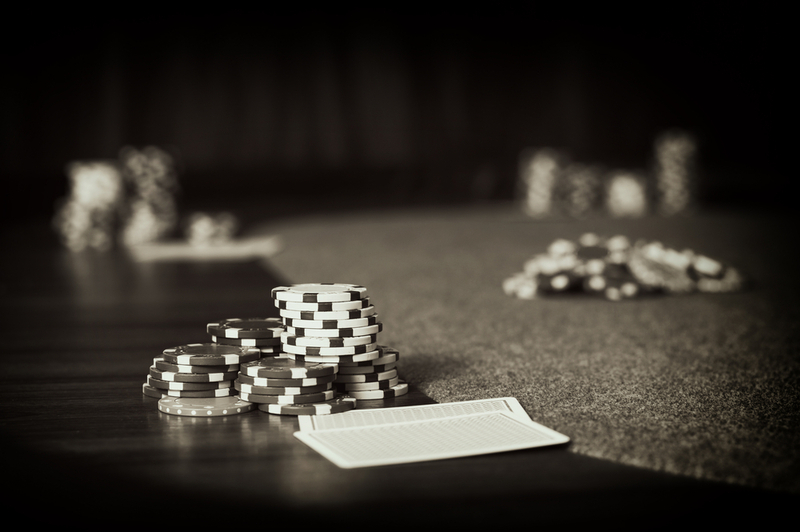 Many people believe that your heads-up poker strategy is the purest test of how good a poker player you are, and that’s made it the new go-to game for online poker players. Obviously, the ranking of the hands, and the way the cards are dealt, is the same as if you’re playing at a table with several others. But the way the game is played is completely different. Let’s look at the differences. In heads-up, the player with the button has dealer position and is responsible for posting the small blind. They act first before the flop and act last after the flop. The other player posts the big blind. One thing to remember – in a normal poker game you have to figure out where your hand ranks among the hands around the table. In heads-up there are no such fine distinctions – you’re either holding the best hand at the table, or the worst. So what are the key heads-up poker tips? A bad hand in full table poker could be the winning hand in heads-up. The values of winning hands are much lower. That means too, that you should start raising on cards that you wouldn’t back in a full table game. A pair is frequently a winner. Forget folding – bet it out and play nearly all hands. Some people have misread the advice that says you should play heads-up aggressively, and their play consists of constant raises, pre-flop and later. Make sure to surprise them by meeting their bluff on occasion, to give them a nasty surprise and check their behaviour. You can’t rely on the pot building up through the game – it won’t, as there are only two of you. So you need to start getting money out of your opponent early, and to coax cash out of them throughout the game. A series of small bets can make sure they stay with you, and get the level of the pot up, even without a final duel between you and your opponent. People think that they can’t observe their opponent’s “tells” when they are playing online poker. This isn’t true – for one thing, you can tell a lot from the other player’s betting behaviour, and this is especially true in heads-up. Watch what they do – check, call, raise or fold – and when they do it – pre-flop, post-flop, turn or river. Wherever possible, match this to what they turn out to have in their hand. Once you understand their style you’ll be able to probe for weak points and frustrate them by surprising them with reraises or checks when they are least expecting them. Never bet your whole playing fund in a heads-up game. You should be betting a maximum of a tenth of your fund – otherwise you’re going to end up broke if you hit two or three bad games. Heads-up is like gladatorial combat compared to the orderly battlefield of a normal poker game. Adrenalin junkies, and those seeking a more demanding playing experience, are turning heads-up into one of the most popular poker variants around. More retiring types will probably be happier in the conventional group games. But heads-up is great for people who don’t mind being in the spotlight and are comfortable putting themselves on the line. And its growing popularity shows that there are plenty of them around.